If you’re working in either health or education, you have lives on the line in your day-to-day work – whether it’s the patients you’re helping or the students you’re teaching, they rely on you to keep them safe. Part of what keeps those people safe is communication when it matters most – and throughout your long work days. 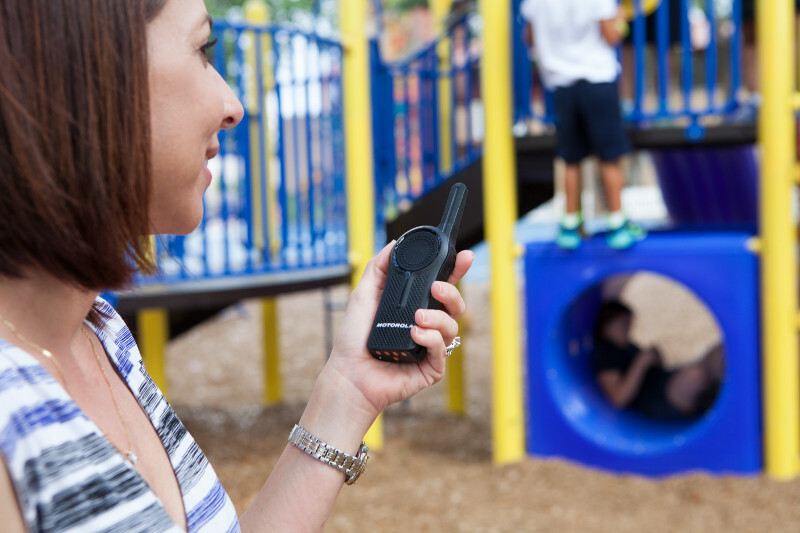 Two way radios can provide the communication you need to create a safe and secure environment, and the privacy you require to do so. When staff perform at their best, and know that help is available at the push of a button, safety and service improve. But these industries often have working environments with large footprints and multi-floor communication requirements. For both health and education industries, we have found three great options that we know will compliment your team needs in different ways. We know the need for quick conversations or calls for help, and that there are many demands on your job that pull you in different directions. This two way radio is license free, which allows for quick implementation in your workforce. As if that isn’t reason enough, the DTR650 can provide up to 350,000 square feet of coverage – the size of six NFL sized football fields – which means your message is sure to get through when you need it the most, because it was designed for in-building environments like campuses and schools, retirement homes and hospitals. Add on top of this its’ up to 19 hours of battery life, excellent durability and audio built for noisy work environments, which we know you work in, and you’ve got an all-around great radio. This two way radio is built to the size of a smartphone, but can hold up to the bumps, bruises and demands of your job. It’s made to be used with one hand, which is often all you have available in your line of work. Another great feature of this two way radio is its digital capabilities, which means battery life for longer days, better range for your conversations with team members and keep you connected in all corners of your facilities and audio clarity that ensures your message comes through clearly. Built for the toughest days on the job, and known as a cost effective radio for a number of industries, the XPR3300e is the best choice for a number of reasons – including up to 27 hours of battery life. This easy-to-use technology is ready to provide you with the range you need for your two way radio (with up to eight per cent more than the XPR3300). It’s also built for noisy environments with its Intelligent Audio program. So, when your students are excited, or you’re dealing with a lot of noise, the radio automatically adjusts the background levels to ensure your message comes through the first time. It’s also built for exposure to dust and water, so whether you’re on the playground in the rain, or in the operating room, you know your radio can take it. One thing to keep in mind is that two way radios are a one-time investment for your team versus other communication devices. We know in the healthcare and education fields that budgets are limited, but with this investment you can save recurring monthly fees like you have with cell phones – easing your mind and budget. Purchasing a two way radio can be quite daunting for someone who has not used the technology in the past, and here at Nova Communications, we get that. With more than 30 years in the industry, and a combined 200 plus years of experience among our sales team, we have the knowledge to help you understand your wants and needs, and the best technology to resolve that. Want to learn more? If you’d like to schedule a free 15-minute discussion with our team of experts here at Nova Communications, click on the option below.